Gold Coast commercial properties have to abide by certain hygiene standards ensuring that the property is safe for both employees and visitors, this is why Top Dog take commercial pest control seriously. 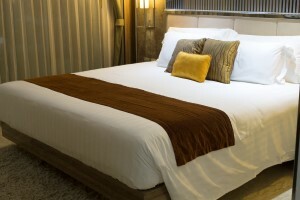 Keeping your guests protected and comfortable is all part of the service hotels offer. So why not protect your guests and property from unwanted vermins and avoid negative feedback that may come with having pests in your hotel. Maintaining a high hygiene standard in the hospitality industry is a regulation in Queensland. 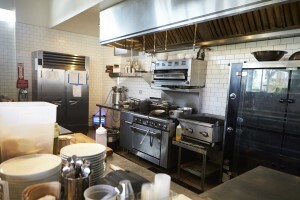 So it’s necessary for restaurant, café and bar owners to keep up to date with all your pest inspections. 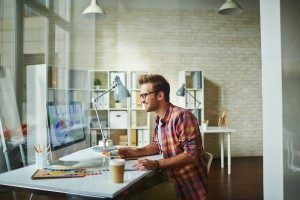 Not only will this support your business reputation but it will establish a safe environment for both your employees and customers. Create a safe work environment and protect your employees and guests. Discuss your options with Top Dog Pest Control to avoid any unwanted visitors in your office. With large groups of children in confined areas it is important that you take the right steps to ensure the treatments are delivered safely. 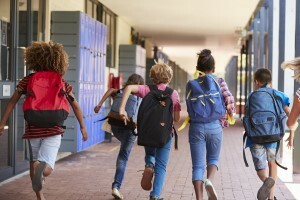 The use of pesticides can have harmful effects on humans and is this why it is essential to contact Top Dog to discuss the appropriate methods in your school pest control treatment. Meeting the health and sanitary standards is an essential part of running Government Departments. To discuss the inspection and options of conducting a pest control treatment in your local government building contact Top Dog. Termites are known to thrive in areas that are damp and high in humidity particularly in places in South East Queensland such as the Gold Coast. If left untreated and undetected this can cause serious damage to your commercial property by weakening the structure. Even if your property is not built from a wooden foundation, issues such as leaking pipes or moisture can attract and create a breeding ground causing a termite infestation. Another key thing to remember is that termites are drawn to any materials that contain cellulose. Cellulose can be found in wood panels and even cardboard. Termites can be uncovered with the appearance of mud tubes which termites build with a combination of wood particles, soil and other debris. If you do see any of these signs on your commercial property you should consider contacting us as we are a commercial pest control specialist on the Gold Coast. Why is it important to have your termite inspection done by a professional commercial pest control service? It is important that you contact your professional commercial pest control service to conduct a termite inspection to see if and how severe your problem may be. Known for their nasty reputation, if termites are left untreated by a professional service they can spread throughout your property in a short period of time. To make your termite control effective it is important to have your commercial property inspected at least once a year. Make sure to regularly check and keep your gutters clean. Keep items such as mulch, firewood and any debris as far away as possible from your property. Remove any dead trees from your property. When possible try to prevent any moisture or leaks on your property. Don’t place garden beds against the foundation of your property. Don’t leave timber laying around on your property. If you suspect or think you have found traces of termites, you can follow the points below to help avoid further damage to your property. Do not disturb the termites or their surrounding areas. Cover the area with shade. Do not try to kill or spray the termites yourself. Warn others on your property that their might be termites in those area’s. Contact your team for a termite inspection. Monitoring and baiting: This process is a form of prevention which involves the use of termite bait stations placed around the perimeter of your commercial property to detect termites. Chemical Barrier: This process is one of the most effective solutions to eradicate termites from your home avoiding any further damage. This is a proven treatment to stop termites and provides a soil barrier from future threats. Pest Treatments: This process is designed to localise and eliminate any unwanted pests that may be lurking within your commercial property to ensure there is no damage made. For more information on pest treatments for Gold Coast commercial properties contact your Top Dog specialist for an inspection. The most effective way to prevent a pest infestation is to have a thorough inspection conducted by a professional specialist. We will survey your commercial property and pinpoint the source of problem. When possible it is important to detect signs of early infestation to reduce the risk of attracting more pests. This is why regular building inspections are vital when running a business particularly if yours is of significant size. 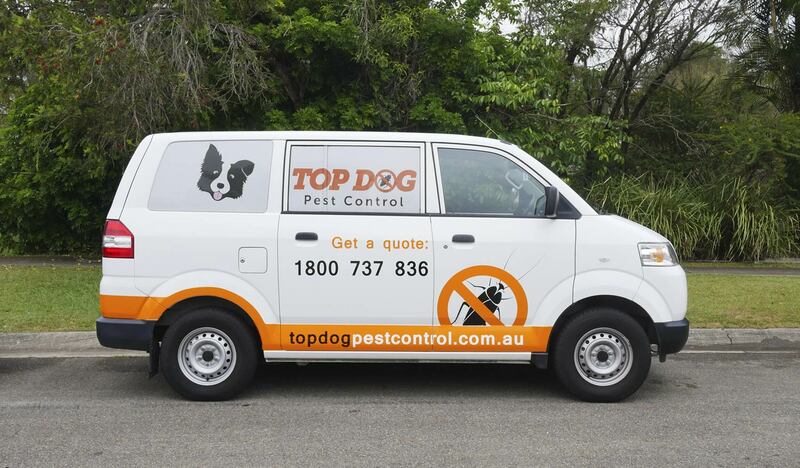 Contact Top Dog Specialist today to book in your pest inspection before it’s too late.